That is one lovely looking edition indeed! It’s very gorgeous – but I *do* like Hesperus’s editions very much! A beautiful edition! 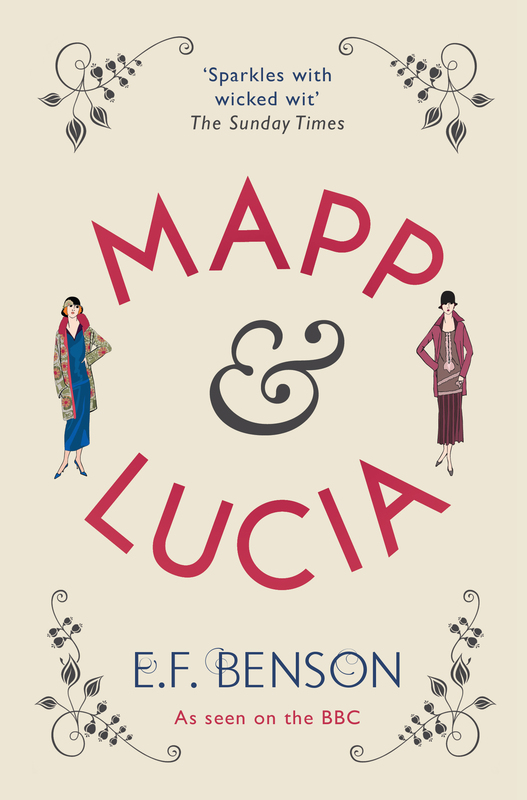 l thoroughly enjoyed the original adaptation of Mapp and Lucia so I’ll be interested to see how the new version goes. I admit my heart is with the original TV show – whether the new one does it for me remains to be seen! I agree –the original cast were brilliant and “national treasures”.The new series cannot be as good.I wish it was repeated on a channel i can obtain. I am also scared of the new” Poldark” when it appears on our screens. I must admit I do wish the programme makers wouldn’t keep simply remaking old stuff – they could come up with something new occasionally! And no-one will be a better Lucia than Geraldine McEwan! Totally agree. It was a wonderful cast. For some insane reason I gave away all my Lucias. I think I’ll have to start again with this edition. I am looking forward to the new series …Altho I did like the old one too. The book is absolutely beautiful ! It *is* a lovely volume – Hesperus always produce such quality books! I’ve been living under that rock I’m afraid, but then I watch precious little television so forthcoming schedules tend to pass me by. I am also probably the last person in the universe who hasn’t read this series and yes, I know, I am a disgrace to the reading world. I’m not a TV person myself – just BBC4 documentaries really – so I may well be avoiding this anyway. As you haven’t read this yet – shame! shame! 🙂 – I really recommend you go out and buy the Hesperus book!! Ooh lovely 🙂 Love that artwork. I’ve been under the rock with Alex, and I didn’t see the earlier series, so I’m going to watch the new adaptation with an open mind. I have the Black Swan editions of the books, but if Hesperus do the set and they’re all as attractive as this one I might be tempted. I hope Hesperus do the set too – Penguin only seem to have done one volume, and I’d like one day to revisit the whole series in a beautiful matching set of volumes! Oh, lovely! I’ve got the … runs next door and checks … NOOOOO they’ve disappeared! How odd. I think I had Abacus editions, though. Unless I read them from the library. I really do need to sort out my spreadsheet recording my pre-blog reading diary! I had all 6 books int he 1980s but I can’t remember which editions – possibly Black Swan? I know there were terrible plot spoilers on the covers! And I didn’t know about the TV series, either. I LOVE Mapp and Lucia! I have the complete Lucia in an enormous book, and think it might be time to reread it. :) Good for Hesperus for reissuing it!